Whether you are looking for a glossy finish or a durable substrate, at AM Labels we have a wide range of inkjet compatible materials, including a range of matte and glossy papers and synthetics. Suitable for our full range of colour label printers, these high-gloss/matte and synthetic labels can produce photo quality prints, making them ideal for product labelling within manufacturing and outer box labelling for product identification in warehouses. The labels are also well suited to everything from test marketing and cosmetic products. Whatever finish you are looking for, be it gloss, matte or synthetic, you can produce photo quality prints time and time again that will resist smudging and extreme temperatures, making them ideal for product labelling within manufacturing and outer box labelling for product identification in warehouses. 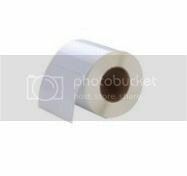 White Epson branded matte inkjet polyethylene labels, resistant to water, chemicals and heat, these labels are fully compliant with BS 5609 for GHS and healthcare labels. Permanent adhesive with excellent adhesion to a range of materials. 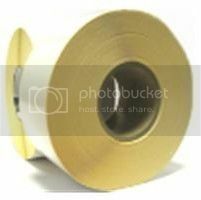 White paper label with a high-gloss finish that is very scratch and water resistant. Permanent, general purpose adhesive with excellent adhesion to a range of materials including cardboard, plastic and wood. 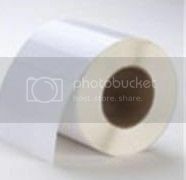 White paper label with a matt finish that is very resistant to water and UV. Smooth, white paper label with a high-gloss finish that is very scratch and water resistant. The backing paper is perforated between each label. Fasson Demand Jet Matt is an ideal choice for labels printed on the VIP2020 and VP485 digital ink jet printers, where full process colour is used to add impact and/or functionality to the label. The high ink hold out and quick drying provides for excellent clarity and density of printed graphics,making it a perfect choice for primary and secondary packaging labels. Fasson Demand Jet Matt is a white, matt coated paper with a micro-porous and highly absorbant surface structure, specifically designed for use in Primera and VIP Color Technologies’ on demand ink jet printers. Fasson Demand Jet Matt is an ideal choice for labels printed on the LX800 digital ink jet printer, where full process colour is used to add impact and/or functionality to the label. The high ink hold out and quick drying provides for excellent clarity and density of printed graphics,making it a perfect choice for primary and secondary packaging labels. Finding the right label for your printer is difficult; whether they need to be aesthetically pleasing or have supreme longevity and durability, it's important to find the right label for you. The table below shows the compatible inkjet materials we can offer. There are also many more colour printers that can utilise these labels. If you are not sure of what printer is compatible, please contact us today on (01546) 414222 or simply e-mail sales@amlabels.co.uk. For more sizes, wholesale quantities, or just some samples, please call our friendly sales team on (01536) 414222 or fill in the form opposite.